SAPEA (Science Advice for Policy by European Academies) has published an Evidence Review Report today with the aim of informing the forthcoming Scientific Opinion from the European Commission’s Group of Chief Scientific Advisors on the issue of microplastics. 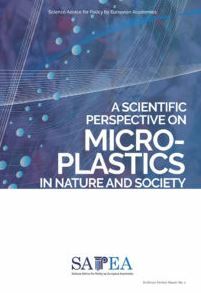 According to the report, the best available evidence suggests that microplastics and nanoplastics do not pose a widespread risk to humans or the environment, except in small pockets. But that evidence is limited, and the situation could change if pollution continues at the current rate. While high concentrations of these particles have been shown to cause physical harm to the environment and living creatures in controlled experiments, the authors point out that concentration levels measured in the real world are well below this threshold – though there are also limitations in the measurement methods currently available. You can access the full SAPEA report here.